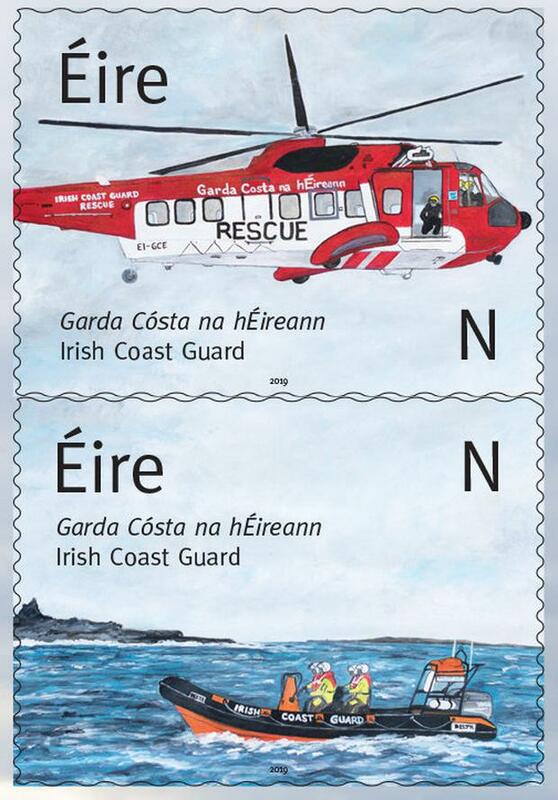 An Post released two stamps last week to commemorate the bravery and hard work of the Irish Coast Guard. These stamps mark the provision of search, rescue and monitoring services at sea, on the coast and waterways of Ireland. They were designed by Vermillion Design and are based on a painting done by Caitriona Lucas, who died tragically while volunteering with the Coast Guard on September 12, 2016. The stamps were unveiled in the GPO by Bernard Lucas, Caitriona's husband, and members of the Irish Coast Guard. They symbolise how rescue teams work at sea, in the air and on water. Gerard O'Flynn, national manager of the Coast Guard volunteer branch, welcomed the new stamps, saying that he was "delighted with public recognition and particularly pleased that Caitriona's work is being honoured in this way. We would hope that the Lucas family will take some strength from this recognition". The Irish Coast Guard respond to problems on water and land, although their main objective is to reduce the numbers of deaths on our lakes, rivers, seas and coastal areas. The Coast Guard is made up of 65 full-time staff and 940 volunteers nationwide who courageously tackle life-threatening situations every week. They selflessly come to the aid of around 4,500 people, saving 200 lives and respond to 3,000 maritime emergencies every year. The stamps are available nationwide in post offices and the GPO Dublin.